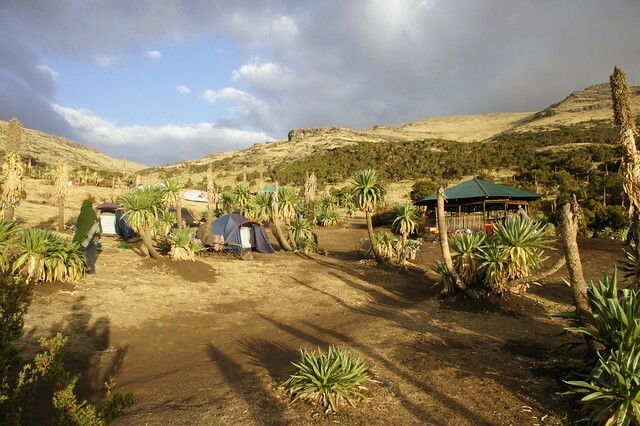 Within the Simien Mountain National Park the only accommodation is in designated camp-sites managed by the park authorities. 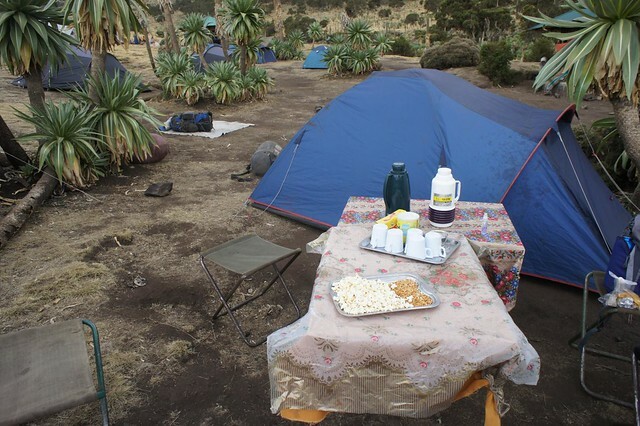 The main sites are at Sankaber, Geech and Chenek, but there are a number of smaller camps available to use if you are trekking for longer than the standard Sankabar – Chenek route. 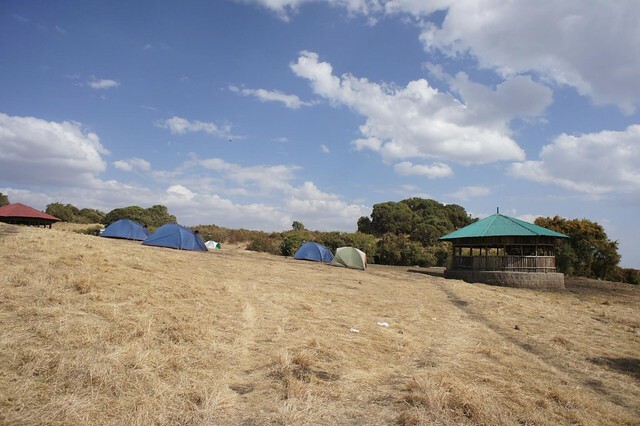 All the camp-sites offer sheltered cooking areas and enclosed drop toilets. Rangers live at the camps in huts and tend to do a pretty good job of keeping the toilets manageable and dealing with the litter from all the trekking groups. 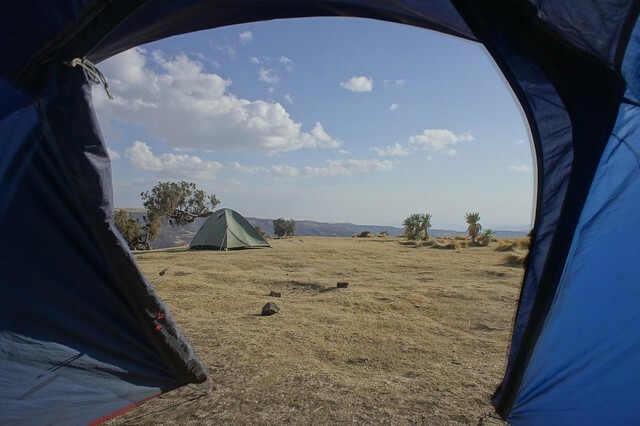 Trekkers sleep in modern dome tents which are erected and taken down each day by the porters. 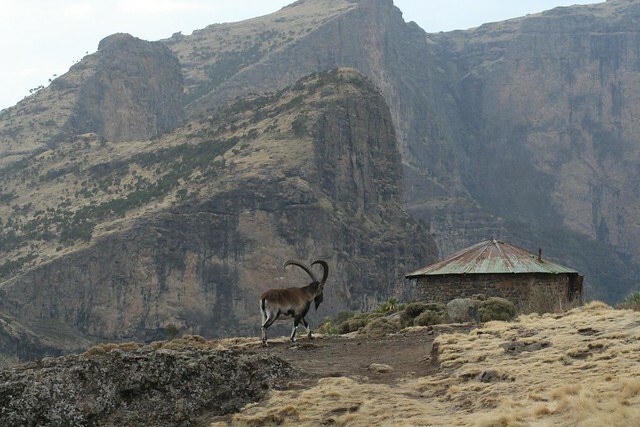 Sankaber Camp is the start point for most treks in the Simien Mountains. 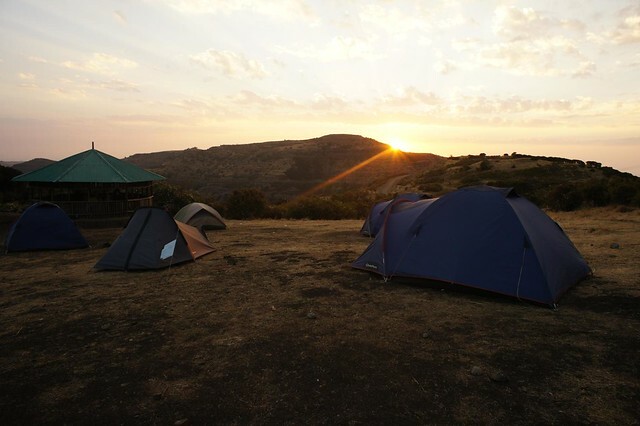 It is nicely situated with some wonderful sunset views. The toilets are well away out of sight from the camping area, which is always a good thing. For those with spare energy there are some stunning hidden viewpoints within a couple of minutes’ walk from the tents where you can get a real sense of the wilderness. 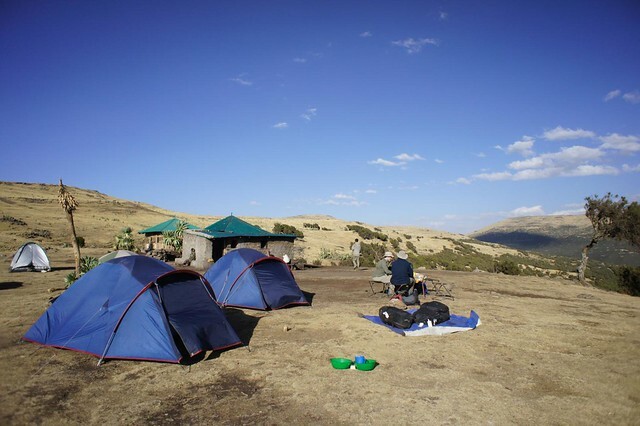 Geech Camp is set in an exposed spot on a vast open sloping plateau with views away from the main ridge. 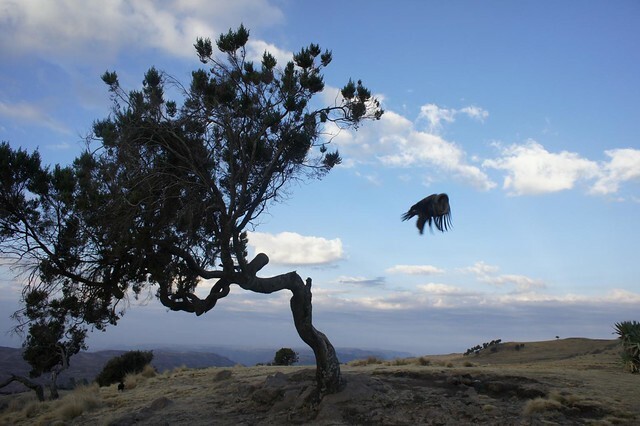 Eagles, vultures and ravens are common place here. The camp is set a good half mile away from Geech Village. The toilets are again set well away from the main camping area. 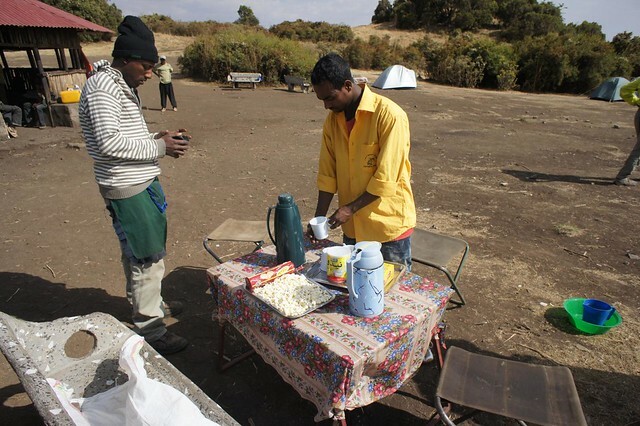 Chenek Camp is set right next to the road that runs through the Simien Mountains and there always seems to be plenty of people around. As a consequence it has less of a sense of wilderness to it. It does make up for that though with another incredible setting and profuse wildlife. 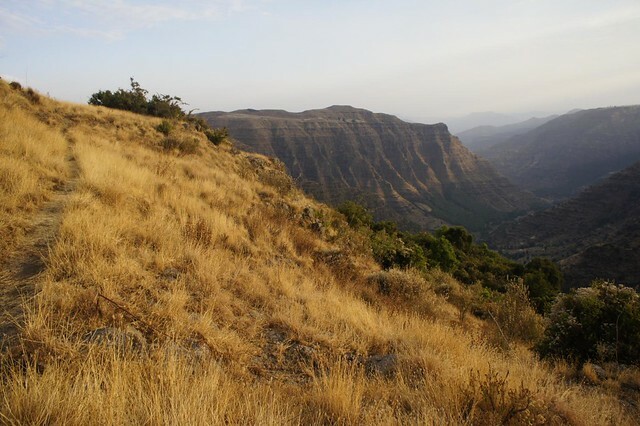 A troop of Gelada Baboons calls this place home and Walia Ibex are common. The toilets are in generally worst condition than the other camp-sites but are still reasonable for this kind of thing.